Grand Hyatt Tokyo is located in Roppongi - a neon-plastered crossroads where commerce, entertainment, fashion, and leisure converge near the center of the city. 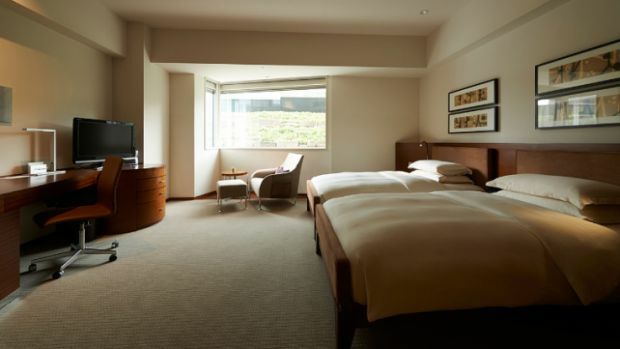 The hotel is a 90-minute drive from Narita International Airport, and a 40-minute drive from Haneda Airport. Many cities claim to be world-class, but only a handful truly deserve the designation. Tokyo, with a metropolitan population of more than 35-million (about the size of the average country), is undoubtedly one of them. 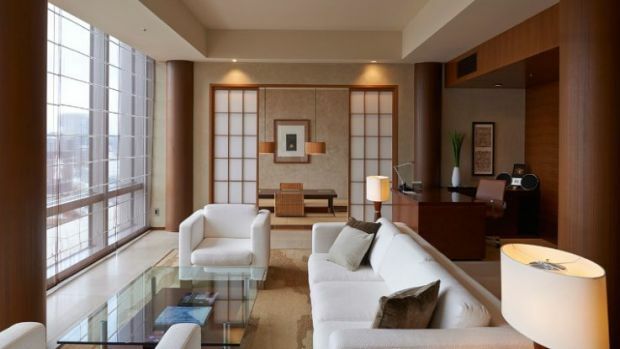 Grand Hyatt Tokyo puts you at the center of the action in world-famous Roppongi Hills, a self-contained "city within in a city" that reaches toward the sky. Nearby attractions include the Imperial Palace, home of the Emperor of Japan, and Shinjuku, Tokyo's main shopping district. 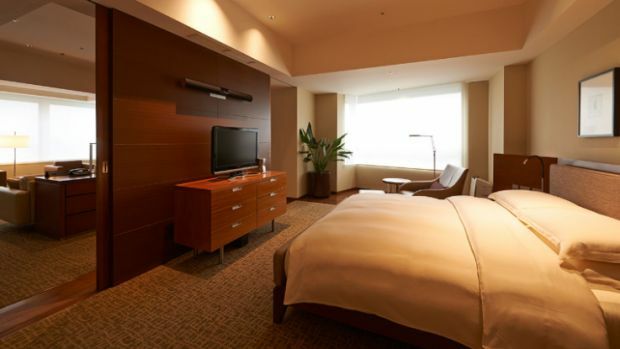 Rooms offer a number of particularly Japanese amenities including cotton kimonos and a safe large enough to store - and charge - your laptop. A total of nine restaurants, bars, and lounges are on-site, serving Italian, French, and Chinese cuisine - which, frankly, misses the point. For delectable premium sushi and sashimi, head to the Grand Hyatt Tokyo's Japanese joint, Roku Roku. 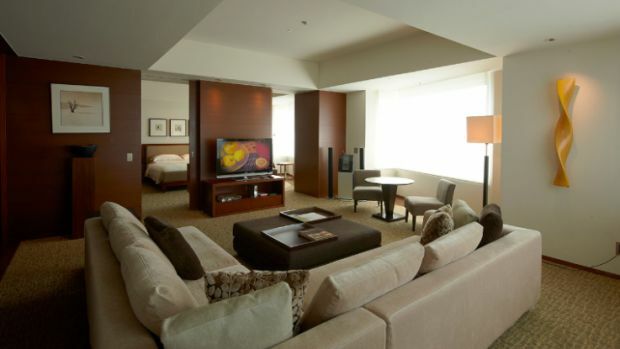 Send an availability request with your requested dates to the Grand Hyatt Tokyo. 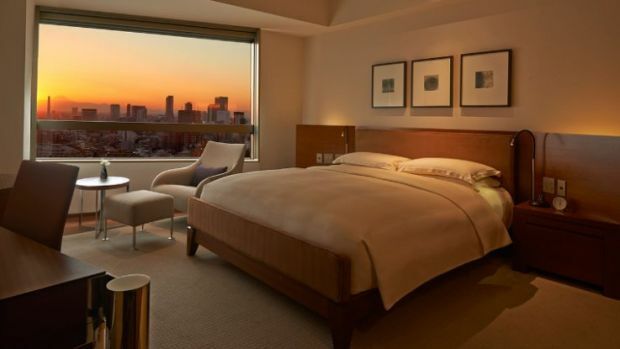 Room with 1 King bed and a view of the city. Located on floors 3-9 & 15-20. Room with 2 Twin beds and a view of the city. Located on floors 3-9 & 15-20. Room with 1 King bed, complimentary WiFi, spacious bathroom with rain shower and a view of the city. Located on floors 3 - 9 and 15 - 20. Room with 1 King bed and bathroom with deep soaking tub and rain shower. Located on floors 3 - 9. Room with 2 Twin beds and bathroom with deep soaking tub and rain shower. Located on floors 7-9 & 11-20. Features 2 Twin beds, city view, spacious bathroom, rain shower and Wi-Fi Internet. Located on floors 7-9. Room with 1 King bed, city views, complimentary WiFi and bathroom with deep soaking tub and rain shower. Located on floors 3 - 9. Room with 2 Twin beds and access to the Grand Club. Located on floors 10 - 11 & 14. Room with 1 King bed and access to the Grand Club. Located on floors 10 - 14. Features two Queen beds, city views, work desk and club access. Located on floor 21. Features two Queen beds, city views, rain shower, work desk, club access and WiFi Internet. 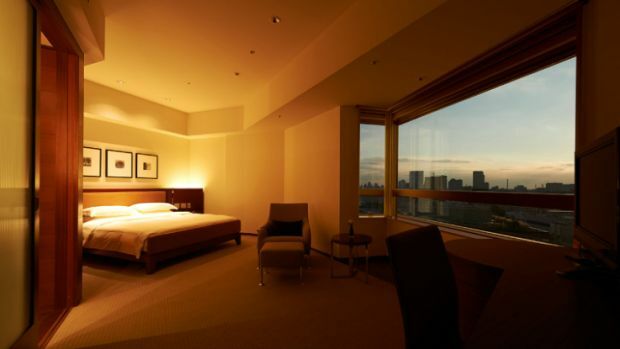 Room with 1 King bed, parlor, complimentary breakfast and a view of the city. Located on floors 10 - 20. 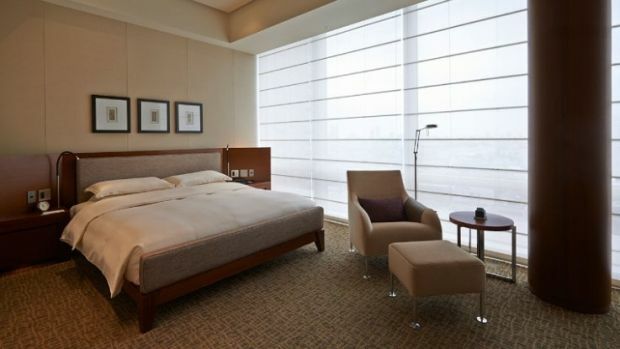 Features a King bed, city view, work desk, club access, flat-screen TV. Located on floors 6-9. 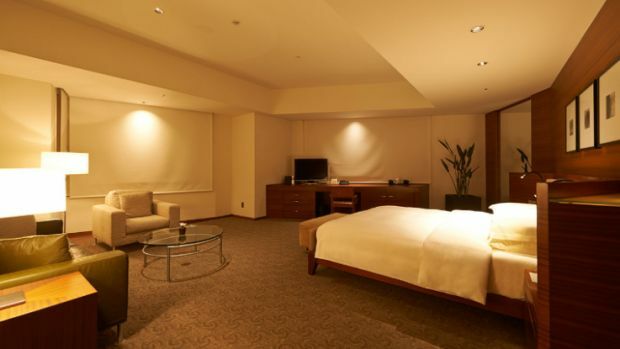 Room with King bed, desk, city views, spacious bathroom with rain shower and access to the Grand Club. Located on floors 6 - 9. Features 1 King bed, parlor, rain shower and Wi-Fi Internet. Located on floors 6-9. Features a King bed, breakfast, city views, club access, rain shower and WiFi internet.Located on floors 6-9. Room with 2 Twin beds, parlor, complimentary breakfast and a view of the city. Located on floors 11 - 16. Suite with 1 King bed, deluxe bathroom, club access living room and a view of the city and park. Located on floors 17 - 20. Features a King bed, deluxe bathroom, spacious living room and city view. Suite with 1 King bed, parlor, city views, spacious bathroom with rain shower and complimentary breakfast. Located on floor 10. 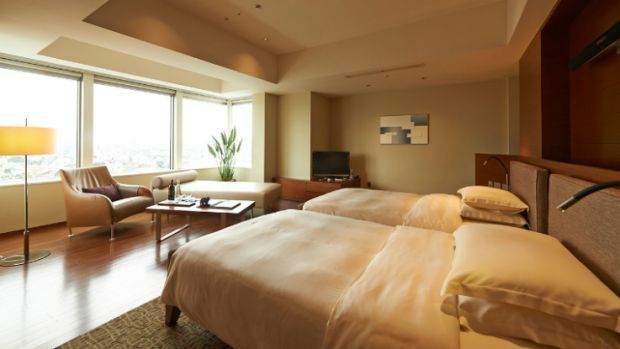 Suite with 2 Queen beds, city views, spacious bathroom, club access and tatami dining area. Located on floor 10. 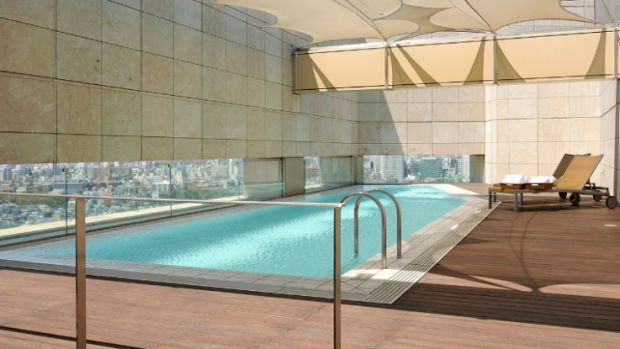 Features two King beds, city views, private Jacuzzi, WiFi Internet, rooftop outdoor pool and dining room.